WHAT I HATE ABOUT LIVING IN LONDON | RAWR BOWS. Everything in life has its pros and cons, and London isn’t an exception. As many other major cities, there are some things that make of this city an incredible place to live and spend your time. However, there are also some things that will make you want to run back home. Today, I’ll be talking about the latter. 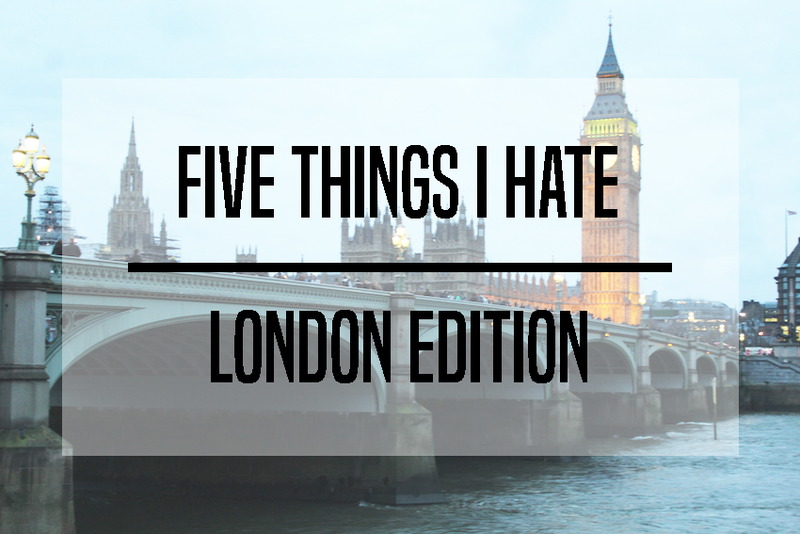 Here are 5 things I don’t particularly love about living in London. Money. I’ve said that before and i’ll say it again, London’s lifestyle is made for rich people (and being rich anywhere else in the world doesn’t necessarily mean being rich in London). Anything from cocktails to public transport is significantly pricier than any other city in the UK and it’s dangerously easy to spend all your money in a split second. Rudeness. Unless they’re tourists, people in London tend to be rather rude. They’re usually too moody to even try to be nice or they just don’t care about anyone else but themselves. The moodiness often comes from having to spend too much time commuting in the tube, which leads me to the next point. Rush hour. If you’ve ever taken the tube during rush hour you know what I mean. It’s worse than The Hunger Games, I’m not even joking. It’s either wait for 6 tubes to be able to get on the tube and keeping your personal space or getting too close for comfort with random strangers. Shopping. Don’t get me wrong, I love shopping -obviously. But I hardly ever go physically shopping when I’m in London. The stores are always too packed with tourists and people in general, which stresses me out. I usually just shop online so that I don’t have to put up with massive queues. Nightlife. I don’t necessarily hate it but I don’t really like it. I’ve been to many clubs, from fancier ones to ‘cheaper’ ones. I find that they are usually overcrowded - not really into the idea of touching everyone else’s sweat- and I’m not really a fan of the music either. I’ll soon be writing a post about what I love the most about London so keep an eye out for that!